Is there anything you can give to a child under the age of 2 with a wicked cough that keeps him/her up all night? All cough medicines seem to say not to give to kids under 2 (or even 4). Vicks vapor rub on the chest/feet doesn’t always work. You can give honey to young children for the symptomatic treatments of coughs. I recommend a teaspoon of honey as needed for children 12 months and up. Prior to 12 months I do not recommend any medications or remedies for children with common colds. 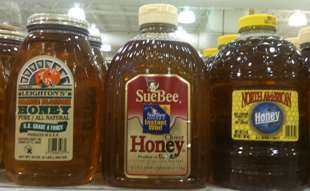 This now famous study looked at the effect of “buckwheat” honey. I understand buckwheat honey to be a relatively dark honey. This has led many experts to recommend “darker honeys”. If your son’s cough seems worse than usual it is best to take him to his doctor.